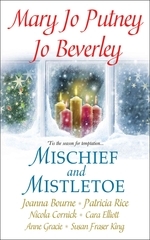 To subscribe to Jo Beverley's newsletter, go to the bottom of the page. 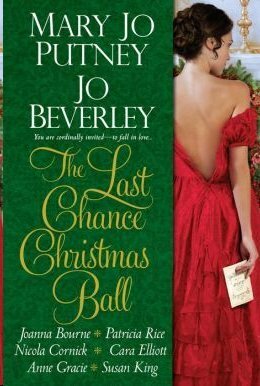 A new collection of novellas from the Word Wenches which all take place around a very special Christmas ball. Read the introductory prologue here. In MISS FINCH AND THE ANGEL, the rakish Lord Gabriel Quinfroy is summoned by his godmother to brighten the life of some of her last chance ladies, but he becomes much more interested in her companion, the mysterious Miss Clio Finch. He thinks that uncovering her secrets will win her, but perhaps they make a future impossible. From the Book Depository, which ships for free around the world. Three novellas in which the powerful race of Faery brings about human unions. Two of the novellas have been previously publish. One is new. 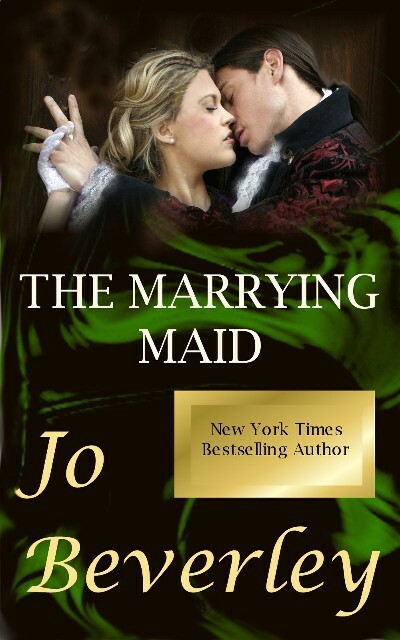 The Marrying Maid was published in 2010 in Songs of Love and Death. Rob Loxleigh must find his destined bride or Faery will wreak vengeance on his family. But what if his bride has no intention of wedding a fashionable rake? The Lord of Elphindale was published in 1998 in Faery Magic. Gwen Forsythe is startled to be told that she's part Faerie, and that it is her duty to marry into the human family of Elphinson to strengthen the Faerie bond there. Alas, Sir Andrew Elphinson is about to offer for another lady. Can she really seduce him at Faery's command? She may have no choice. Titania's Gift, a new story. Sarah, Lady Vaughn, is a perfect lady stuck in a very imperfect marriage, but that's no excuse for slipping out to join in pagan revelry. Perhaps she's justly served when a faery blessing tumbles her into love with a stranger, but how can there ever be a happy ending for any of those involved? In the US. click here. In the UK. click here. Also available from Amazons everywhere. Two Regency novellas and some extras. Both novellas have been previously published. If Fancy be the Food of Love... was published in 1991 in A Regency Valentine, which is hard to find. In that anthology Juno and Chart's story was interwoven with four others. To publish it alone has meant extensive rewriting, but the basic story is the same. 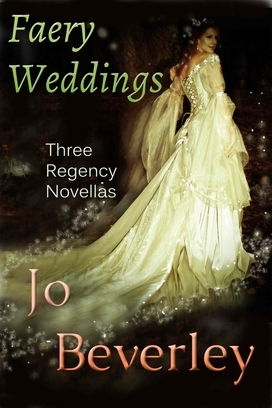 These characters connect to the Classic Regency novels listed here. Saint Agnes and the Black Sheep was published in 2012 in A Cast of Characters, a large collection of eclectic stories. This version has been expanded, but is essentially the same. 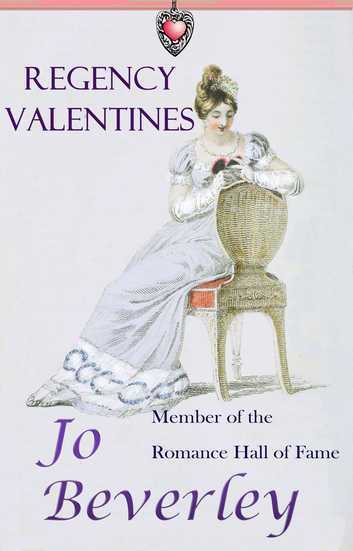 This volume also includes traditional Valentine spells and games; an essay about odd marriages; Jo Beverley's guide to those pesky English peerage titles; an essay on the importance of money in the Regency; and some pre-written Valentine's Day verses sold in the Regency for gentlemen unable to come up with their own. 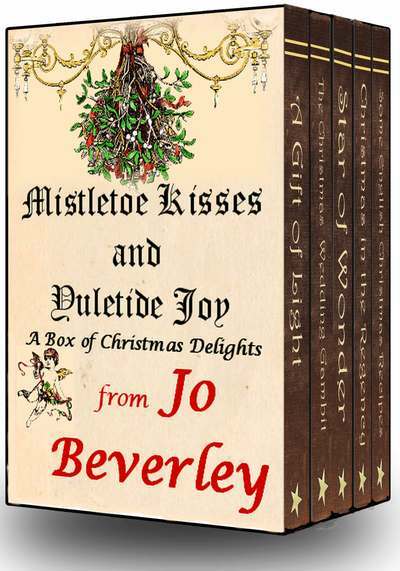 A boxed set of Christmas delights. What's in the box? Three previously-published novellas set at Christmas, a description of Christmas in the Regency period, and some seasonal recipes, new and old. The novellas are, A Gift of Light, first published in 1996 in The Christmas Cat; The Christmas Wedding Gambit, which has been freely available on my web site for years, and Star of Wonder, set in 999 AD. This was published in 1999 as Day of Wrath in STAR OF WONDER so I've switched the title. I hope that doesn't confuse. The box also includes an essay about Christmas traditions in the real Regency and some seasonal recipes. For Amazon in the US. click here. For Amazon in the UK. click here. For other Amazons, please go to your local site. Kobo world wide. click here. It would make a great small gift for anyone with an e-reader. Buyers from Kindle US can get a download code. Other buyers can get one from Smashwords for use with any e-reader. Write the code in a card and give or send. 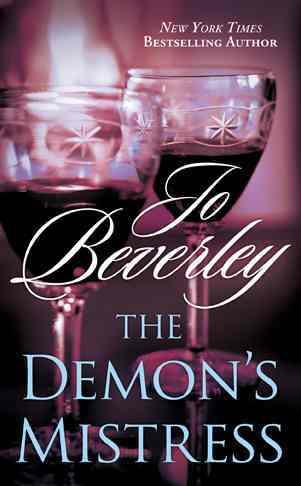 Published in print in A REGENCY CHRISTMAS, 1995 This novella is available as an e-book. 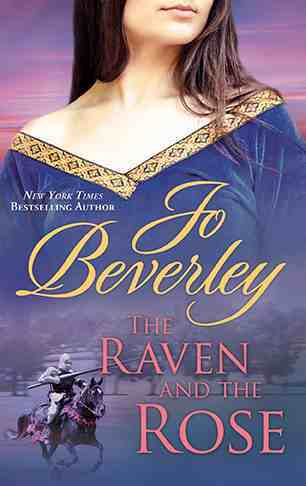 Justina Travers is sure that her beloved fiancee was killed because of the treason of his commanding officer, Lucky Jack Beaufort. Now that Lucky Jack is home and Duke of Cranmoore, she intends to end his luck forever. 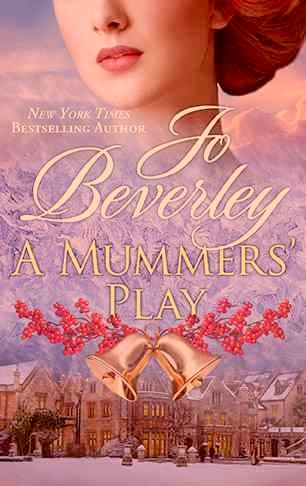 But after sneaking into his home as part of a Christmas mummers' play, she begins to uncover secrets that change everything. The authors at the Word Wenches blog have put together a collection of fun Christmas stories involving "wicked wenches" -- that is, ladies breaking the rules. In my story, the heroine, notorious for jilting gentlemen, realizes whom she really loves and will break the rules to win him. At the moment not available as an e-book elsewhere. 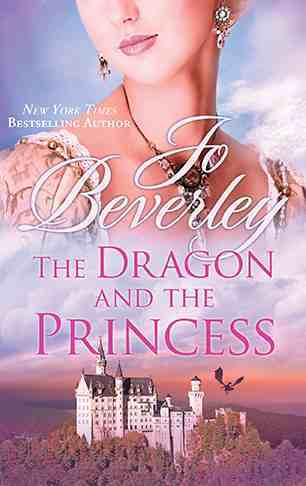 Originally published as The Dragon and the Virgin Princess in the anthology, Dragon Lovers. This novella is available as an e-book. Fantasy with a medieval style. Rozlinda of Saragon is the official SVP -- the Sacrificial Virgin Princess -- and she can't wait for a dragon to come so she can do her duty. After all, she'll only have to sacrifice a cup of blood and then at last, at long last, she'll no longer need to be V. But when a dragon flies in from the enemy nation of Dorn, things don't go quite as expected. Just for fun, see my captioned dragon pictures here. There are buy links below. The Raven and the Rose is set in the middle ages, close to Glastonbury, the heart of Grail mythology. Sister Gledys of Rosewell was sinning again. She can't stop her dreams about a handsome knight, nor the feelings stirred by them. When an old woman and a raven summon her to leave her convent to find her knight, she's challenged to sin in an even greater way. But if she's to believe the message, only she and he together can summon the Holy Grail and bring peace to a country devastated by civil war. A novella set in the Georgian Malloren world. This story was written directly for e-book. A mother fleeing scandal with her children finds herself homeless on a cold November day. A passing gentleman offers her refuge which she can't refuse, but why is he so secretive, and why does he live in seclusion in a neglected house? When Lily discovers the answers she sees hope for herself and her children, if only she dare fight for it. For Kindle in the UK, click here. For Kindle in other parts of the world, please go to your local Amazon site. First published in Songs of Love and Death. A Georgian romance and a take on the Robin Hood story with a magical twist. 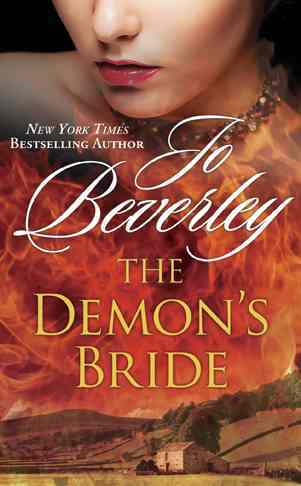 A faery curse hangs over the family of Rob Loxleigh unless he can find his destined bride, his "marrying maid." But what if the very proper lady flees such a rakish aristocrat? For other countries, simply check your local Kindle link. For other e-readers anywhere in the world. click here. THE TROUBLE WITH HEROES First published in Irresistible Forces. Winner of the Sapphire Award for Best Science Fiction Romance, short form, 2004. The people of Gaia think themselves blessed to be living on the most perfect colony world ever discovered, even if there is a strange energy force that occasionally destroys people. Only very occasionally. Rarely, really. Until now. Now, the entire population is threatened and all the obvious heroes are dead. Which leaves an unlikely hero and the woman he loves. �The Trouble With Heroes� is a brilliant novella" The Romance Reader. Also available from all Amazons everywhere. For your Nook Also available for all e-readers, PCs, and simple text here. Lord Vandeimen returns home from Waterloo to ruined estates, his family all dead. His attempts to recreate something of his heritage leave him deep in debt, and he is ready to commit suicide when a woman bursts into his room with an extraordinary proposal. Mrs. Maria Celestin, widow of a wealthy foreign merchant, will pay him a small fortune to pretend to be her betrothed husband for six weeks. Van cannot refuse, but he is wary of this outrageous good fortune. He is also intent on getting into the widow's bed. He doesn't expect to be dragged back into life, and into love, or into a battle to win the woman who bought him. Published in print In Praise of Younger Men, and in an omnibus, Three Heroes. Both are out of print, but there is an e-book edition of Three Heroes. first published in Moonlight Lovers long, long ago. 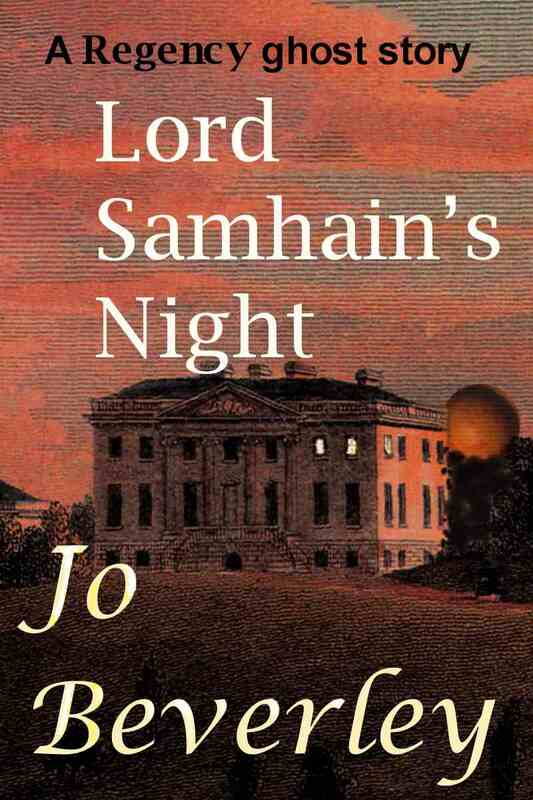 Rachel Proudfoot has enough trouble resisting the temptation of rakish Lord Morden without supernatural intervention. When she plays the traditional role of the Demon's Bride, however, a mighty earth spirit wants to use them both to return to the world. For other locations, please go to your local Amazon. A childish superstition turns serious for Phoebe Batsford and the two brothers who are suitors for her hand. The trouble is that she ends up engaged to marry the wrong one, and only a ghost can sort it all out. For Kindle US, click here. For Kindle UK click here. For Kindle Canada click here. For Kindle Australia click here. Available from all Amazons everywhere. Follow me on Facebook by clicking on the box below. Remember that to have a chance to see most of my posts you should click the "like" button at the top of the page next to my name. Facebook doesn't send everything I post to all my followers. Ensure that you get all my news by signing up for my occasional newsletter. The addresses are never shared or sold, and you can leave the list at any time. Simply enter your e-mail address in the box below. Join Jo and friends for talk about historical fiction on the blog, Word Wenches. More information about the Company of Rogues.